Office Space - Smethwick, West Midlands County. 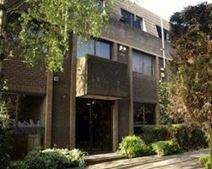 Pleasant modern business centre enjoying garden setting, home to well-sized office spaces in conjunction with flexible business facilities including secretarial support and welcoming reception staff, with personalised telephone answering. Hire spaces flexibly according to requirements. Great location less than 5 miles from Birmingham city centre with plenty of parking, access to M5 via J1 and good rail links from Booth Street metro station opposite.